Natural born fighters, swollen by the corrupting taint of Chaos, the Chaos Marauders are a terrifying sight to behold on the battlefield. Charging toward the enemy in great numbers, their faces twisted into snarling parodies of humanity, they fall upon their prey and tear it apart with axe, blade and flail - their sheer number and grisly determination have propelled the Slaves to Darkness to blight every mortal realm save Azyr. 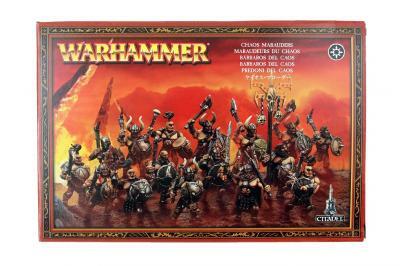 This box set contains twenty multi-part plastic Chaos Marauders which can be assembled with barbarian axes or barbarian flails, and includes options for a chieftain, icon bearer and drummer. 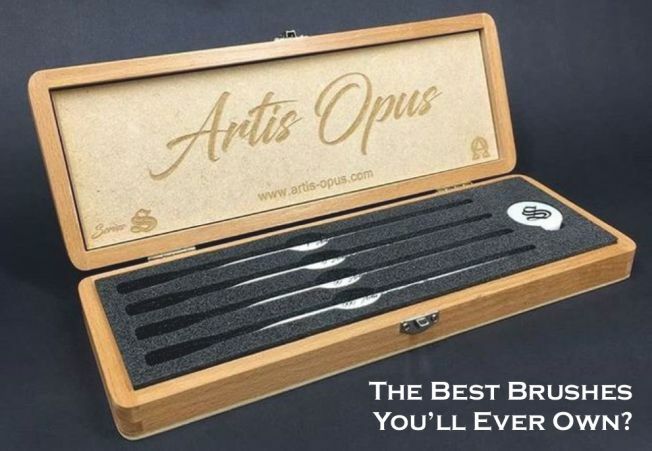 Supplied with twenty Citadel 25mm Round bases.